Canastas de nacedora, caja de pollitos, carritos de nacedora, cajas de pollitos, carritos de nacedora y transporte. Desde 40.000 hasta 160.000 pollitos. 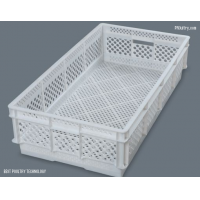 Caja para pollitos para transporte de 75 hasta 100 pollitos de un día.&nbsp; Se puede utilizar también como&nbsp;canasta nacedora 88 compatible con las máquinas HatchTech. 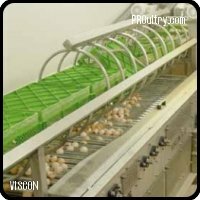 Kunststoffabriek Coevorden (Kfc) has been a leading supplier of high quality plastic crates for the transportation of live poultry for the past 35 years. 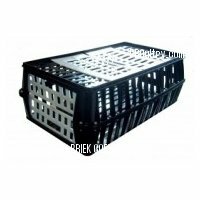 Our unique and durable transport crates are ideally suited for the transportation of live birds and have been recognized by the animal welfare group, Eyes on Animals, as one of the most animal friendly transportation solutions on the market.